Being an OFW daughter, I spent half of my life without my Dad. Now that my siblings and I were in our father shoes, I don’t want to spend another half of my life without him . I’m surely believe time will come we will be together again as a Family, and when that time come I’ll see to it, all his hardships and sacrifices will be paid off. 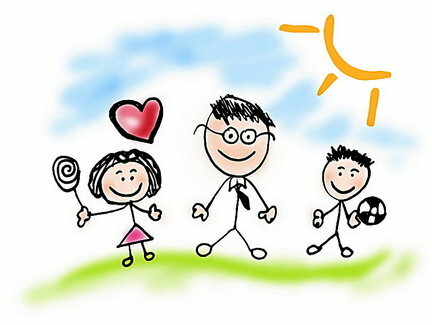 Dad, I know you are not a perfect father but you are the best father for the three of us. Thanks so much Dad, I do appreciate the things you’ve done for me and my siblings. Without you, we are nothing. Happy Father’s Day! Take care of yourself, God Bless! See you very very soon. I Love you! Ang sweet naman ng promise mo sa Dad mo, Ana. It so happened Ana is also my name and I must admit ganyan yata talaga pag OFW ang tatay. Ako di nga OFW tatay ko noon (ngayon lang) pero ang layo nya sa aming magkapatid. May iba na syang pamilya but I’m not bitter about it. What I am sorry for is for him not being able to feel my love for which I had so much. Happy father’s day to my dad too (allow me). happy fathers po sa dad ninyo,miss ana!